In a small bowl, beat the eggs, sour cream and tarragon together. Season with salt and pepper if desired. In a heavy, non-stick, oven-safe skillet: melt the butter at a heat setting just above medium. Tilt pan to completely cover bottom surface. Pour the eggs mixture into the skillet and let cook until the base is set. 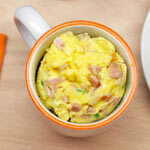 Arrange the canned salmon over the soft top of the omelet. 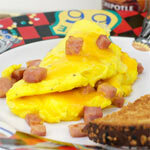 Loosen the omelet in the pan and carefully fold in half. 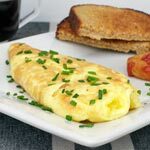 Slide the omelet onto a serving plate. 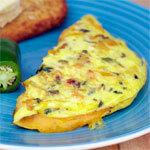 A salmon omelet with creamy eggs seasoned just right with tarragon. 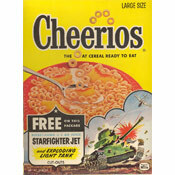 A unique and tasty breakfast. 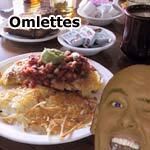 What do you think of Alaskan Omelet? Nice. This is a good one. My trick is to add soy sauce or sometimes tomato sauce. I usually make salmon with scramble egg also with chopped onion in it sometimes. This turned out as good... better than I had imagined. Ok. It is a bit different but nevertheless it was good. I tried it today and it is a keeper. I gave this to a friend and he loved it! I added some milk too, in place of some of the sour cream (but not much, and still had most of the suggested sour cream dosage).